Lord, we declare You are birthing a new season for the United Kingdom. 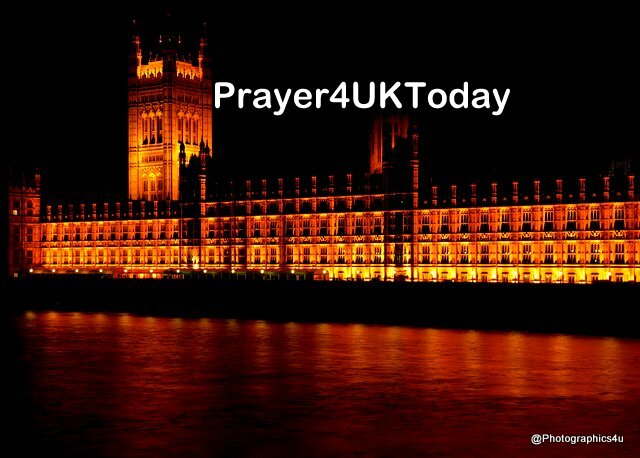 In the Name of Jesus, we decree the God given sovereignty and order of governmental authority over and throughout the UK Parliament will be established and all His planned legislation and treaties relating to the implementation of Brexit completed according to His timing and design. We declare that in this day Your people across this land will rise up into the fullness of who You have made them to be. We declare the ecclesia will arise and the reformers will take their places in every arena of this land. We declare we will take hold of that for which Christ Jesus took hold of us and move into the fullness of Your call upon our lives. We thank you for the life of our Queen, Elizabeth II, for the stability she brings to the land, and we celebrate the wisdom and righteousness which she carries, her heart for You, for her people and for the grace and commitment with which she carries out her duties. Lord, You bless us that we might bless others and so in the Name of Jesus, we speak a blessing over the Queen’s life. We declare a strengthening and prolonging of the her reign that she might stand in health, strength and righteousness until such a time as those to follow may do so with the fear of God upon them. Now, in the Name of Jesus we speak peace, wisdom and stability to industries and companies affected by this season of change. We decree and declare in this nation, businesses, industry and manufacturing will flourish, and we speak protection over them . We continue to declare stability into all financial markets and wisdom to those dealing with uncertainties. Reminder: this Saturday; Wembley Christian Centre. 10am - 1pm “Our Nation’s Future – A Kingdom Opportunity.” A time to be be envisioned, strengthened and to pray.